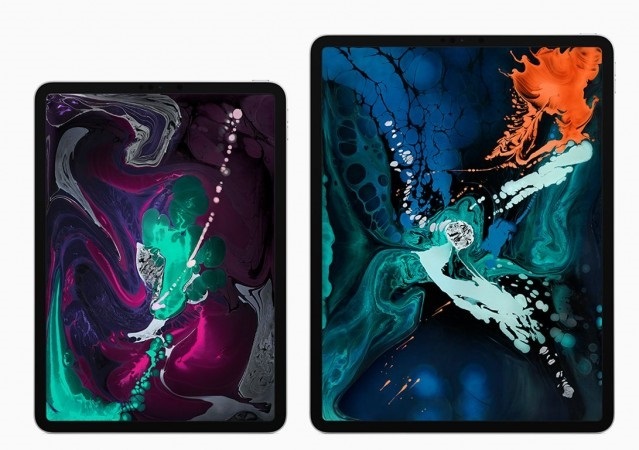 Apple's new iPad Pro borrows the edge-to-edge LCD display from the popular iPhone XR. The interesting thing about the new Apple tablet, it has a slim bezel and has no notch thus guaranteeing rich cinematic viewing on the large screen. It comes with two sizes--11.0-inch and 12.9-inch and it can be noted that the former has same dimensions as 10.5-inch model seen in the predecessor, but thanks to FullView design, the top and the base bezel have been trimmed. 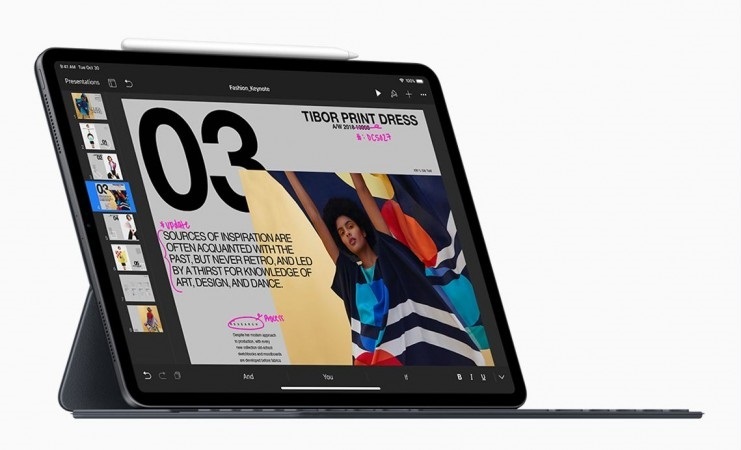 Surprisingly, the 12.9-inch has shrunk in physical structure compared to the predecessor, but again thanks to Apple's ingenious design technique, the display real estate is same as the latter. 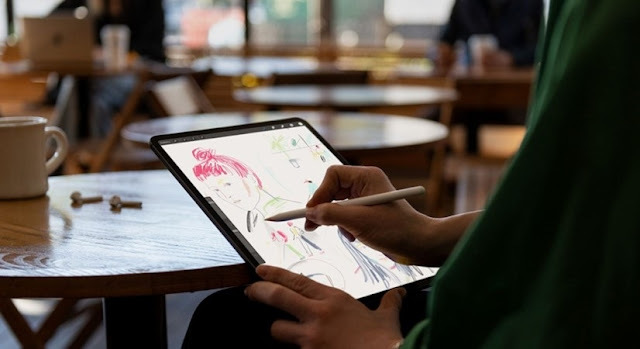 Apple's new iPad Pro is the company's slimmest tablet to date; it comes with just 5.9mm thickness and yet it promises to offer long-lasting battery life, close to 10 hours of video playback. It also packs four speakers. 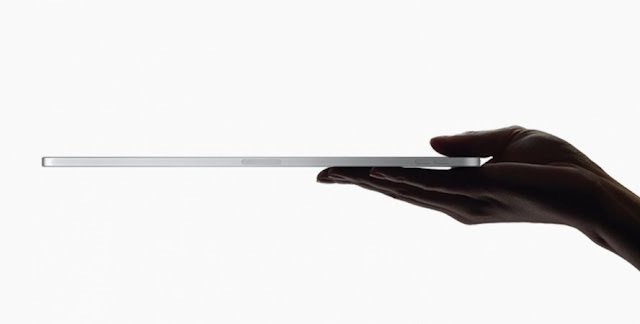 Another big change we see in the new iPad Pro is the Type-C USB port a first for Apple tablet. It offers reverse charging capability in addition to fast charging. Inside, it also comes with 102 tiny magnets which offer accessories to attach to the iPad Pro seamlessly and speaking of accessory, Apple also introduced Pencil (2nd gen) and it comes with wireless charging capability, unlike the predecessor which comes with the weird lightning jack to connect to iPad. Now, the new Pencil can just attach to the iPad and get charged when in idle. Also, it supports smart double touch feature, where the user can switch between modes—write or erase or customize to others actions, as well. Also, Apple has introduced Face ID, which can scan the owner's face from any angle, he/she intends to use, unlike iPhone X and later mobiles, where you have to hold them with the upright with front-camera on top to recognize the face. Under-the-hood, it comes with the powerful 7nm class 8-core A12X Bionic chipset, which is said to be more powerful compared to A12 Bionic seen in iPhone XS and XR series. The former comes with 64-bit class desktop architecture and comes integrated with 7-core GPU, M12 co-processor and dedicated Neural Engine, which can perform more than 5 trillion operations per second. As far as the photography hardware is concerned, it comes with a 12MP primary camera with F1.8 aperture and a 7MP FaceTime front camera. Going by the features, Apple's new iPad Pro (2018) is undoubtedly the most versatile tablet, which will soon hit the stores worldwide in coming weeks. The new Apple iPad Pro series, depending on the size and connectivity options (Wi-Fi only or Wi-Fi+LTE), the price ranges between Rs 71,900 to Rs 1,71,900 in India (full price list below). As of now, there is no word on when Apple iPad Pro series will be available in India, but it is expected to come before the end of November or early December. Apple's second-generation Apple Pencil for the new iPad Pro will be available for RS 10,900. The new Smart Keyboard Folio for the new iPad Pro is available in space grey for Rs 15,900 for the 11-inch iPad Pro and Rs 17,900 for the 12.9-inch iPad Pro with layouts for over 30 languages, including simplified Chinese, French, German, Japanese and Spanish. A new Smart Folio for iPad Pro, in a protective, polyurethane folio design, will be available in a variety of colours for Rs 7,500 for the 11-inch iPad Pro and Rs 9,900 for the 12.9-inch iPad Pro.